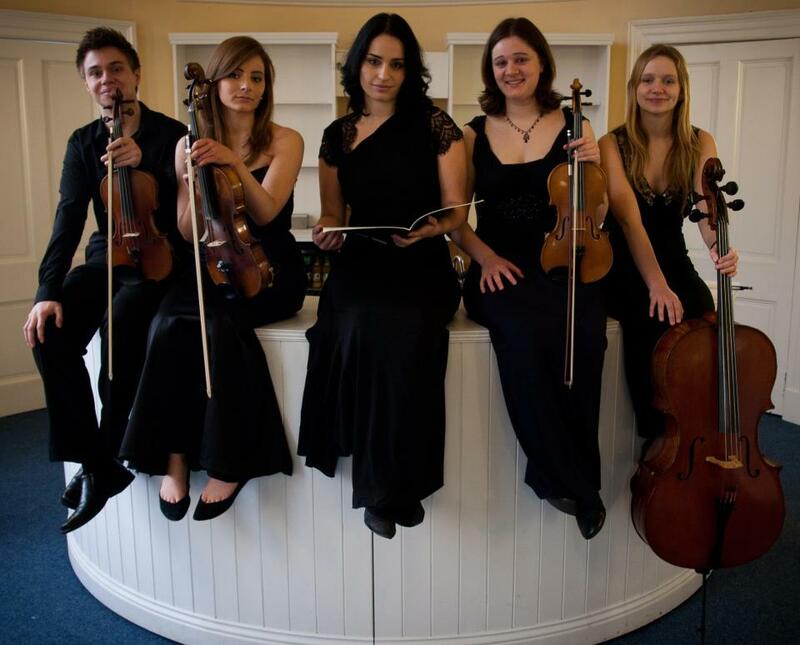 The Eboracum Quartet was founded in 2007 for outstanding undergraduate and postgraduate string players studying at the University of York. Re-auditioned every year, members of the quartet perform widely showcasing a diverse range of repertoire from Mozart, Debussy, Schubert and Shostakovich to world premieres, and previous members have gone on to successful careers as professional musicians. Alumni of the quartet have been fortunate enough to participate in workshops with illustrious ensembles such as the Kreutzer Quartet, and the Wilheim Quartet with 2012-2013 members Sophie Simpson (violin), Richard Powell (violin), Bella Clifford (viola) and Kristina Craven (cello) working with the international, award winning group Quator Diotima. They were joined by mezzo-soprano Lisa J Coates for the inaugural concert at the stunning De Grey Rooms in York, a Georgian ballrooom managed by the York Theatre Royal.